The knee joint is a frequent source of problems requiring the attention of an orthopaedic surgeon. The joint is primarily formed by the two large bones of the lower limb, the femur (thigh bone) and the tibia (shin bone). 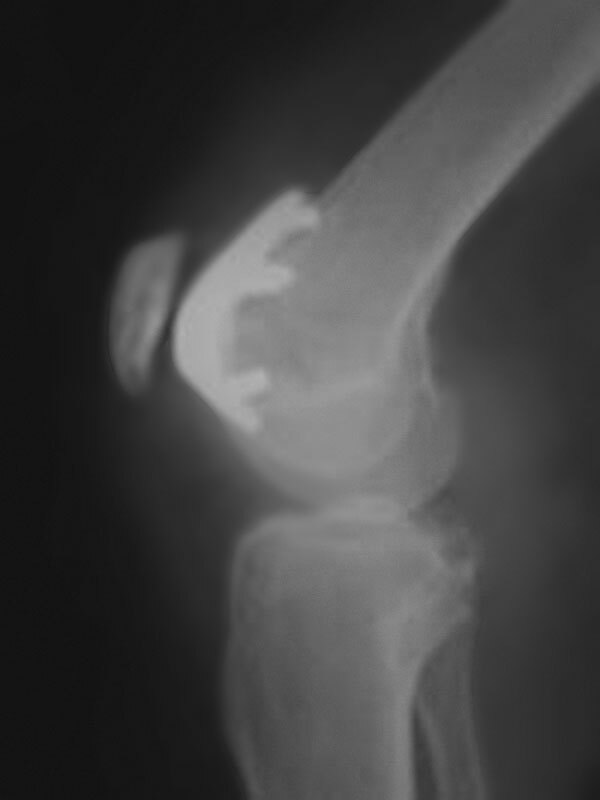 The patella (kneecap) articulates with the femur at the front of the knee. The fibula joins with the tibia on the lateral (outside) side of the knee. Together, the femur, tibia and patella make three compartments (medial, lateral and patellofemoral). Each of the bones has a bearing surface of articular or hyaline cartilage. In addition, there is a meniscus in each of the medial and lateral compartments. The menisci are like cushions or spacers and are made of fibrocartilage. They often simply referred to as the cartilages. The direction of movement of the bones is controlled by the ligaments and the muscles make the joint move. 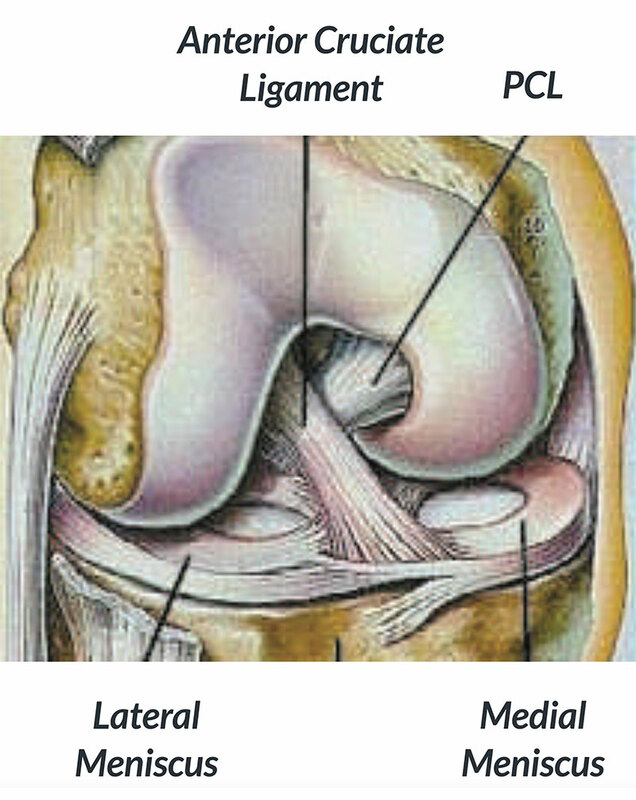 The major ligaments are the anterior and posterior cruciate ligaments and the medial and lateral collateral ligaments. In addition, the collateral ligaments have important associated ligaments towards the back of the knee. The major muscle groups are the quadriceps at the front of the thigh and the hamstring muscles at the back. Muscles attach to bones via tendons. The main tendons around the knee are the quadriceps and patellar tendons which attach to the top and bottom of the patella respectively. The iliotibial band is like a tendon on the lateral side of the knee. There is a wide range of pathology and problems in the knee. The menisci can be torn as a result of an injury, although most meniscal tears are the result of a degenerative process and a specific injury may not be recalled. Not all meniscal tears require treatment, but if they do, this is usually done by arthroscopy. The tear can either be resected (cut out) or repaired. The articular cartilage can wear away. This is called osteoarthritis. Treatment depends on the severity of the disease and can range from quadriceps strengthening exercises to a realignment procedure called an osteotomy or to joint replacement. Isolated injuries may also occur causing local defects for which there may be specific treatment to try to restore the surface. Osteochondritis dissecans is a condition that involves an area of articular cartilage and the underlying bone and usually occurs in teenagers. The appropriate treatment depends on many factors. 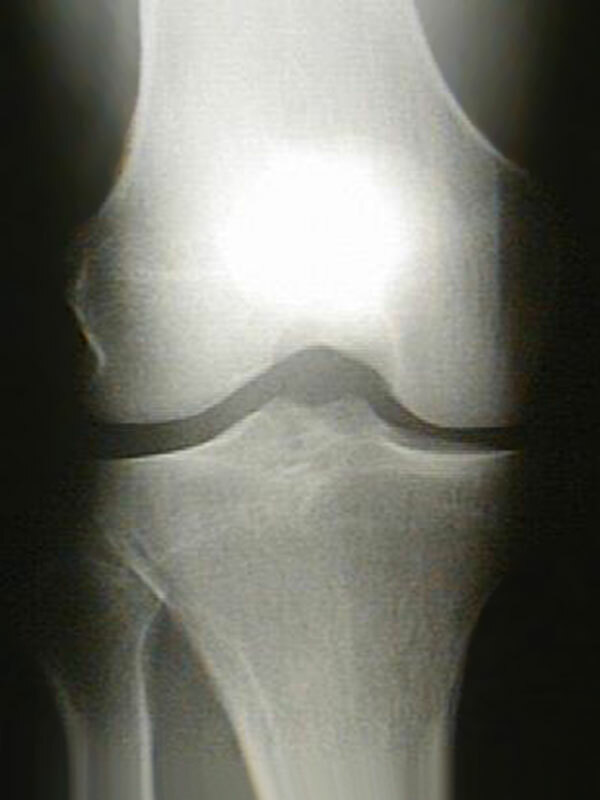 The bone underlying the articular cartilage may occasionally be affected by a condition called avascular necrosis in which the blood supply to an area of bone becomes disrupted. It may recover spontaneously or deteriorate to the point that intervention such as joint replacement may need to be considered. The cause of avascular necrosis is poorly understood. Ligaments can be torn. Medial collateral ligament injuries usually heal without surgery but may require bracing. Anterior cruciate ligament injuries are often treated by reconstruction, but there are also situations in which they do not need surgical intervention. Posterior cruciate ligament injuries are not usually treated with reconstruction unless they are combined with other injuries or have been causing instability. Lateral ligament injuries are often associated with other injuries and may require surgery. The patellofemoral joint is a frequent source of problems. There can be the same articular cartilage problems as in other parts of the knee. In addition, there can be problems with instability of the patella as well as maltracking of the patella in its groove in the femur. Physiotherapy is often the first line treatment for many of these problems, but surgery may be required for recurrent dislocation of the patella. There are a variety of stabilization procedures that can be used depending on the specific problems of an individual. Tendons can be torn and usually require repair. However, the more common problem is tendinopathy that results in local pain and which is usually treated without surgery, although surgical intervention may occasionally be required for symptoms that fail to resolve. The iliotibial band can impinge on the lateral aspect of the femur causing pain with running. It can usually be managed without surgery but surgical release is sometimes performed in chronic situations. Note: These notes have been prepared by orthopaedic surgeons. They are general overviews and information aimed for use by their specific patients and reflects their views, opinions and recommendations. This does not constitute medical advice. The contents are provided for information and education purposes only and not for the purpose of rendering medical advice. Please seek the advice of your specific surgeon or other healthcare provider with any questions regarding medical conditions and treatment. The term knee reconstruction is commonly used to refer to reconstruction of the anterior cruciate ligament (ACL). This ligament is in the middle of the knee and controls the movement of the two main bones of the knee, the tibia and femur (Fig. 1). It is particularly important for twisting and turning movements that occur in football, netball, basketball and snow skiing. Rupture (tearing) of the ACL can therefore lead to instability. This is felt as giving way with certain activities, usually those that involve a sudden change in direction. When giving way occurs, there is a risk of damage to the cartilages (menisci) and this in turn puts the knee at risk of developing premature osteoarthritis. Although it is an aim of reconstructive surgery, it is unclear whether anterior cruciate ligament reconstruction actually reduces the risk of developing osteoarthritis. The main reason for reconstructing the ACL is to stop or to prevent instability. In many situations, this instability can be predicted soon after the injury occurs and a decision made to operate without waiting for the instability to develop. However, in other cases it may be less clear and people may choose to rehabilitate their knee and try to return to their normal activities without surgery. Whether they can get back to their normal activities without surgery depends on many factors – how much healing of the torn ACL takes place, other injuries to the knee, the intrinsic stability of the knee, rehabilitation, and the individual’s ability to modify their activities. It is important to remember that ACL reconstruction is almost always an elective procedure. From a medical point of view, there is no rush to make a decision, provided the knee is not giving way. 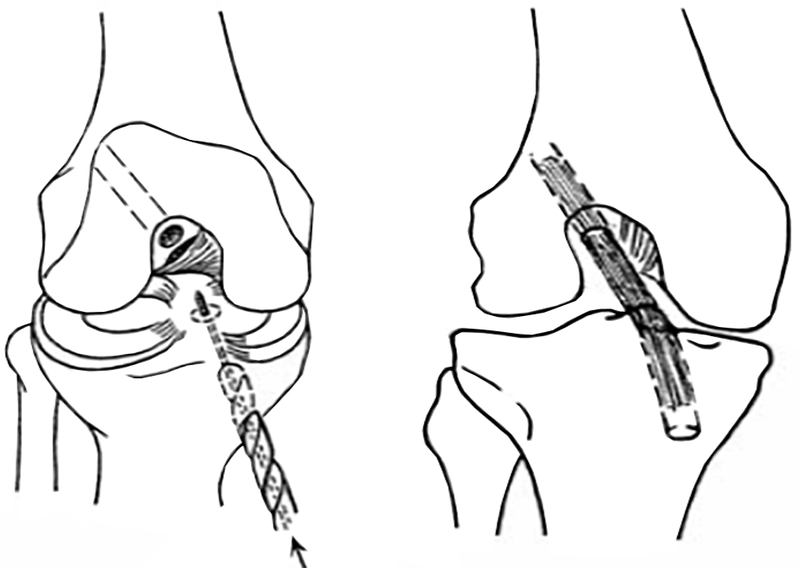 If ACL reconstruction is to be performed, it is essential to prepare the knee for surgery. The key is to get back full extension (straightening) of the knee. Although it may feel that there is something in the front of the knee that is blocking full extension, this is rarely the case, particularly after the initial injury. A key component is to reduce swelling by regular icing and wearing a compression bandage or sleeve. 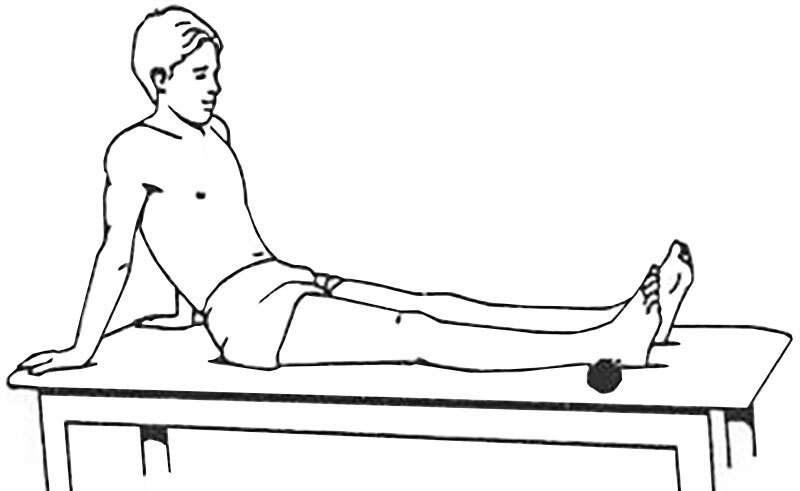 Having the heel supported on a rolled towel and using the quadriceps muscle at the front of the thigh to lock the knee out straight is the key exercise (Fig. 2). Flexion (bending) is also important and riding an exercise bike will help this, together with strengthening the quadriceps muscle. The technique for reconstruction involves taking a piece of tendon (usually from the same knee, but sometimes from the other knee) and using this to replace the torn ligament (Fig. 3). The tendon graft is usually taken from the hamstrings on the inside of the thigh or from the patellar tendon at the front of the knee. It can also be taken from the quadriceps tendon, just above the patella (kneecap). Occasionally allografts are used. These are tendon grafts taken from cadavers (people who have died). In recent years, there has been increased interest and media coverage of synthetic grafts, specifically the LARS device. 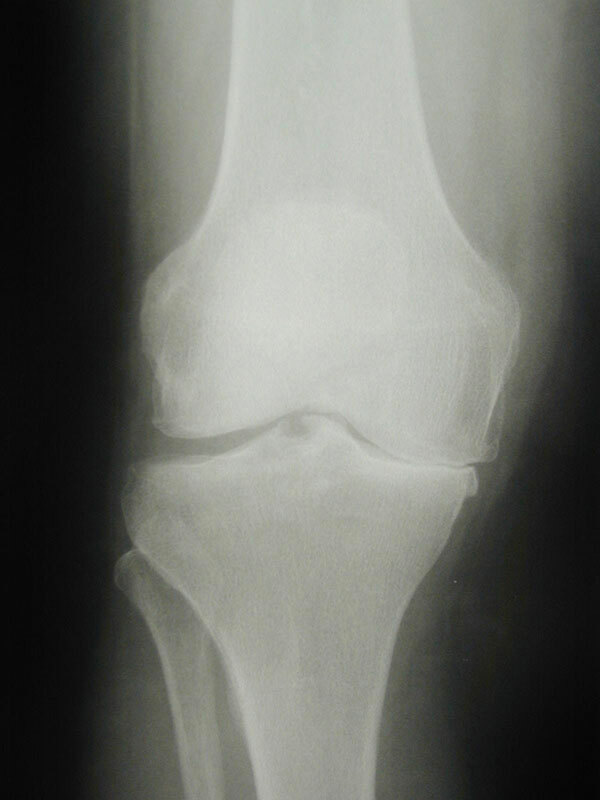 The role of the LARS remains unclear, but there are concerns because of problems seen when synthetic ligaments were used in the late eighties. From your point of view, there is a vertical or oblique scar on the front of the knee together with two small scars from stab incisions that allow the arthroscope and surgical instruments to be introduced into the knee. If additional surgery is required to repair a cartilage, a further incision may be made towards the back of the knee on either the outside or inside. A small area of the skin on the outside (lateral side) of the knee is usually numb after surgery. Sometimes there is numbness on the shin. Although the numbness can be permanent, the area of numbness usually gets smaller with time and does not usually cause any problems. Surgery is usually performed under a spinal anaesthetic. At the end of the operation, the area affected by the surgery is infiltrated with local anaesthetic. Sometimes an epidural block or a femoral nerve block is also used. If this is the case you will notice numbness and tingling in your legs when you wake up. This gradually wears off over 8 hours or so. After leaving the recovery area pain control can usually be achieved with tablets alone. Anti-inflammatory medication is often used to help with pain control, so it is important that you tell your anaesthetist if you have ever had a history of stomach ulcers or bleeding, as this medication may not be appropriate in that situation. You will be awake within 20 minutes of the operation and should be able to eat and drink after approximately 2 to 3 hours. On return to the ward after the operation, an inflatable cuff (Cryo-Cuff) is placed around the knee. This is filled with iced water to help control swelling. Patients find this very comfortable. Depending on your surgeon’s preference, you may have 1 or 2 drains placed in the knee joint so that unwanted blood does not accumulate and inhibit recovery. These drain tubes are usually removed the day after surgery. A physiotherapist will teach you exercises to get the knee out straight (extension) and regain function in the quadriceps muscle at the front of the thigh as well as make sure that you are confident walking with the aid of crutches. A brace or splint is usually required. You will usually go home on the morning after surgery. Following surgery you will be provided with information regarding rehabilitation. This outlines the rate of progression. Rehabilitation can be undertaken either independently or under the supervision of a physiotherapist. It is very important to rest during the first week after surgery in particular. This means spending most of the time on a bed or couch with the leg elevated and regular icing of the knee. The main aim during this phase is to restore full extension of the knee. The time of work that is required will vary according to your job. If it is mainly deskwork, then patients may be able to work within 2 weeks. If heavy manual work is involved, it may be 2 to 3 months before one can consider return to work. In general, crutches are required for up to 2 weeks. In terms of returning to sport, most patients are able to recommence some of their activities by 4 months. By 6 months, the majority of patients are able to gradually resume training for their original sports with a view to returning to play from 9 or 10 months. However, improvement continues for another 6 to 12 months after that. While most patients are happy with the outcome of their surgery, there are nonetheless some risks, which need to be borne in mind. Always involve some kind of risk, but these are statistically minimal. Antibiotics are given at the time of surgery to reduce the risk of infection. Despite this infection of the wound can occur. This is usually easily treated with antibiotics. However, sometimes the infection gets into the joint. This is a serious complication and requires admission to hospital, additional surgery and intravenous antibiotics. A thrombosis is a blood clot that may form in the veins in the legs. This can cause persistent swelling of the foot and ankle and can also be dislodged and be carried to the lungs (pulmonary embolus), resulting in chest pain and breathing difficulties. However, the risk of thrombosis is statistically very low. If you have a hamstring graft it is very common to experience the sensation of tearing something at the back of the knee around 3 to 8 weeks after surgery. This is just stretching of the scar tissue being laid down in the tendon harvest site. Although it may be associated with some pain and bruising, this usually settles over a few days and do not affect the long-term outcome. If you have a patellar tendon graft there can be pain at the lower end of the patella. This can occur as late as 9 to 10 months after surgery but usually settles with time. Occasionally one of the devices used to hold the graft in place while it heals to bone may become prominent some months after surgery. If problematic, the hardware can be removed without risk to the graft. Persisting problems can occur as a result of poor compliance with rehabilitation, failure of the graft, or significant additional damage to the knee from the original injury such as torn ligaments or cartilages or osteoarthritis. Osteoarthritis of the knee is a common condition and is becoming an increasingly important problem for the community as a whole. In the normal knee joint, the ends of the bones are covered with a type of gristle called articular cartilage. This surface has special characteristics that make it an ideal bearing surface. 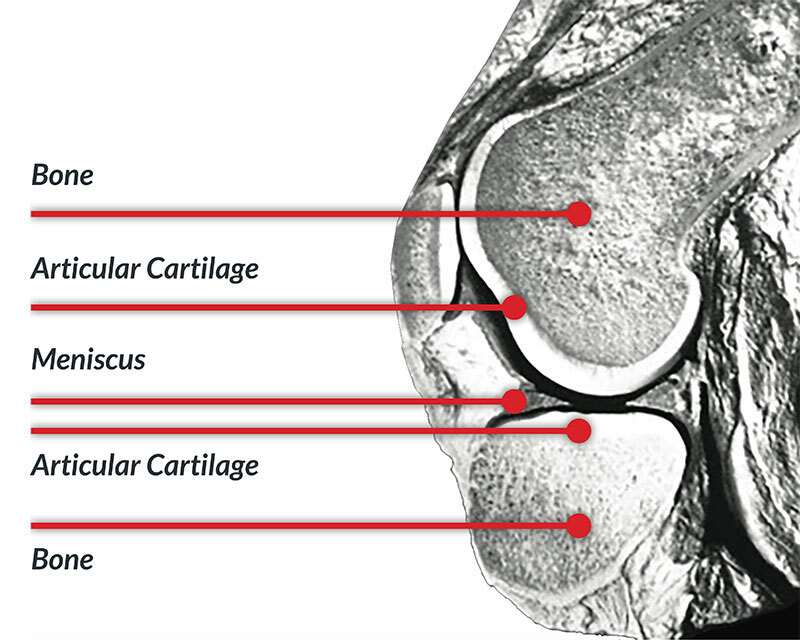 The articular cartilage needs to be distinguished from the meniscus, commonly called “the cartilage”. The meniscus is like a gasket around the margins of the joint and fills in the gap between the rounded end of the femur and the relatively flat surface of the tibia. Osteoarthritis is a condition where the articular cartilage breaks down and is essentially worn away leaving the underlying bone exposed. On an X-ray this appears as a loss of the space between bones. There are many factors that can contribute to the development of osteoarthritis. Some individuals probably have a hereditary predisposition to the condition, as it does seem to run in some families. Females are more at risk of developing osteoarthritis than males. Obesity is a very important contributory factor as the biomechanics of the knee are such that the effect of extra weight is magnified in the knee joint. The effect is like a stiletto heel, where all the force goes through a very small area. Injuries to the knee can also contribute to the development of osteoarthritis. Such injuries include damage to the meniscus or articular surface itself and a tear of the anterior cruciate ligament. The treatment of osteoarthritis depends on the severity of the condition, the symptoms, the lifestyle of the individual, as well as their age and general health. In general, treatment can be divided into non-surgical and surgical options. As a basic principle it is always better to try all non-surgical options before proceeding down a surgical path. Non-surgical treatment starts with ensuring that there is adequate strength in the muscles around the knee and in particular the quadriceps muscle at the front of the thigh, and getting one's weight back to a normal level. Obviously it is difficult for many patients with osteoarthritis of the knee to exercise because of their pain. However, riding an exercise bike is a good way of strengthening the quadriceps muscle and at the same time burning calories, which will help in efforts to lose weight. However, dietary intake also needs to be modified and it may be helpful to seek specific advice from a dietician. As one loses weight and builds up strength in the quadriceps muscle, it generally becomes easier to walk and this in turn will help with losing weight. Using simple painkillers can be a very effective way of relieving symptoms and improving function. Paracetamol should be the mainstay of pain relief. Various formulations are available but the basic principle is that the total dose should not exceed 4 grams per day (8 standard 500 mg tablets). It is often helpful to take a larger dose (1000 - 1500 mg) in the morning and again at night. This will help get over morning stiffness and pain and relieve night pain, two of the most troublesome symptoms of osteoarthritis. Nutraceuticals (glucosamine, chondroitin sulphate, fish oil, Lyprinol). Anti-inflammatory medications can also provide good relief of symptoms, both pain and swelling. However, they can all be associated with significant side-effects including indigestion and stomach ulcers, aggravation of high blood pressure and heart disease, and impairment of kidney function. They should therefore not be used indiscriminately and preferably only for short-term benefit. If your knee causes you most difficulty with activities such as golf or tennis, one strategy is to take anti-inflammatory medication on the day you are playing sport and perhaps the following day but then not again until you play sport the next time. There are a number of so-called nutraceutical preparations that have become very popular. These include glucosamine, chondroitin sulphate, fish oil and green-lipped mussel extract (Lyprinol). Some individuals find that they get good relief from these types of preparations but it is difficult to predict who will respond positively to them. At present there is little in the way of good quality scientific evidence to support their use. Fortunately they do not seem to have any significant side effects, so there is little harm in trying them. It would seem logical to try only one at a time. If it is unclear whether the preparation is helping, then it is probably worth taking it for 3 to 4 months and then ceasing it. If your symptoms do not deteriorate once you stop taking the preparation, then there is little reason to recommence it. There is no convincing evidence to suggest that one formulation of glucosamine is better than another, or whether the addition of chondroitin sulphate provides an additional benefit. There are two groups of injections that can also be used in the treatment of the osteoarthritis. The first are cortisone preparations and these can be used for the relief of an exacerbation of symptoms, particularly if there is significant swelling. It is probably not a good idea to have a lot of injections of cortisone into the knee, as each injection is associated with a very small risk of infection of the joint. The second group of injections are the so-called viscosupplements. These are basically preparations of hyaluronic acid, which is one of the substances that make up the articular cartilage. There is some evidence to indicate that the use of viscosupplementation provides relief that is similar to that achieved with the use of anti-inflammatory medication or cortisone injections for up to 3 to 6 months. It is very important to realise that the use of anti-inflammatory tablets, cortisone injections, or viscosupplementation does not affect the progression of osteoarthritis in the longer term. These options are simply to provide relief of pain. Surgical options can be divided into three groups: arthroscopy, realignment procedures, and joint replacement. 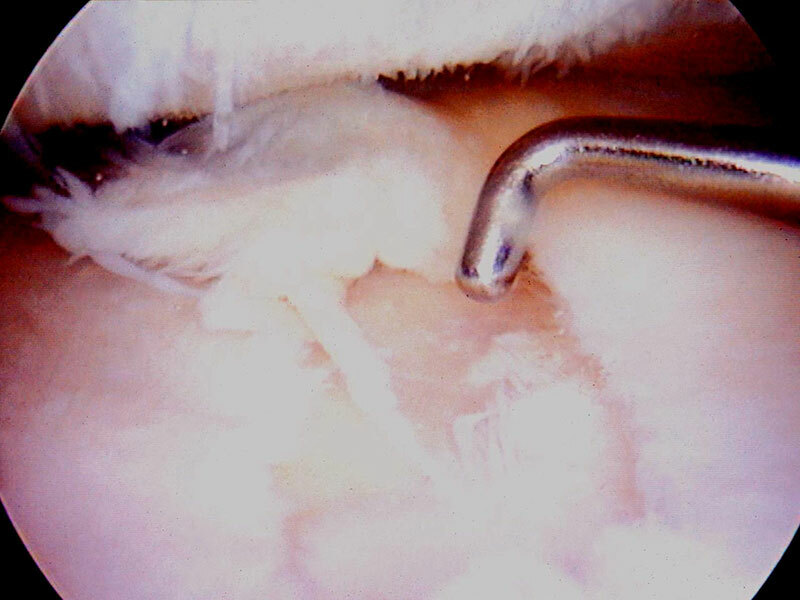 Whilst arthroscopy is a relatively small and simple procedure and the idea of a “clean-up” operation seems attractive, there is increasing evidence to suggest that the use of arthroscopy for the treatment of the osteoarthritis provides little benefit compared to non-surgical options over a period of a couple of years. It does however still have a role in some situations. It seems to work better if there is swelling of the knee. It can be useful to address associated pathology such as a tear of the meniscus. It can also be useful by allowing unstable articular cartilage to be removed along with fragments floating in the joint. Once again, an arthroscopy is only aimed at relieving symptoms and does nothing to slow the progression of the osteoarthritis. Indeed, it occasionally seems to aggravate the process and may bring on the need for a knee replacement more quickly than if the arthroscopy had not been performed all. Realignment procedures are called osteotomies. These involve cutting the tibia or femur bone and changing the overall alignment of the leg to make it more “knock-kneed” or sometimes more “bow-legged”. The aim is to take weight away from the part of the knee that is affected by osteoarthritis. Such procedures can only be used in certain patterns of osteoarthritis and are better suited to people under the age of 55. They can however provide good long-term relief and put off the need for joint replacement, whilst at the same time allowing an individual to remain quite active. Replacement involves shaping or cutting the bone ends and applying a metal or polyethylene component to the surface. Usually both sides of the joint are replaced. One can either replace all parts of the knee, which is a total knee replacement or just one part of the knee, which is a partial replacement. Like osteotomies, partial replacement can only be used for certain patterns of osteoarthritis. In general, we try to put off joint replacement procedures for as long as possible because of concerns about long-term wear and loosening. In addition, replacement procedures are only compatible with low impact sporting activities. Golf, social or doubles tennis, cycling, and snow skiing are reasonable whereas running, basketball, netball, or any type of football should not be considered, because of the risk of premature wear and loosening of the prosthesis. Osteoarthritis is essentially loss of the articular cartilage on the bone surfaces of a joint. Articular cartilage (also known as hyaline cartilage) is normally a very smooth surface with special biomechanical properties that make it particularly suitable as a bearing surface. However when the surface is disrupted, a process of breakdown commences and eventually the articular cartilage coating is worn off the bones. Unfortunately, articular cartilage has a poor capacity to heal. 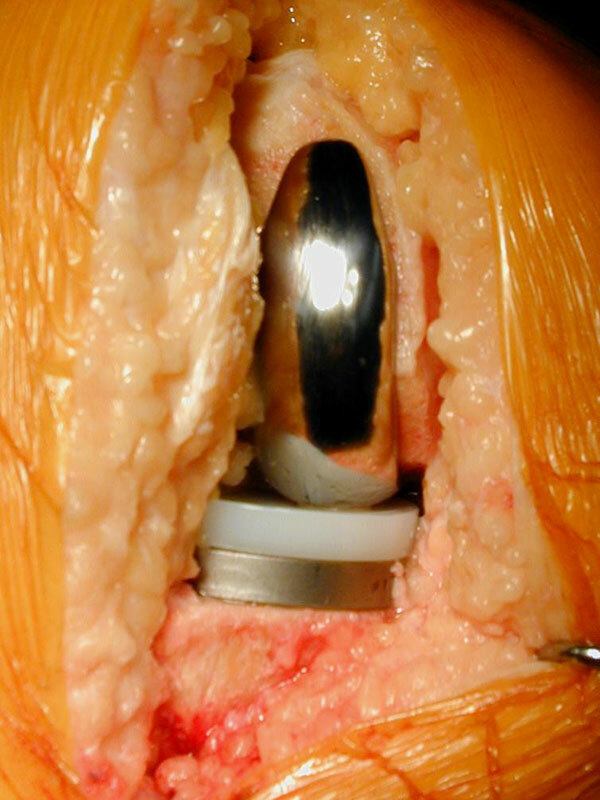 For treatment purposes, the knee joint can be considered to consist of three compartments. One compartment is between the patella and the femur (patellofemoral compartment), and the other two are between the tibia and femur. One is on the medial (inside) half of the knee, and the other is on the lateral (outside) half of the knee. If the osteoarthritic process is isolated to either the medial or lateral compartment, one surgical option for treating significant symptoms is an osteotomy. The principle of an osteotomy is to realign the lower limb in order to shift the line of weight bearing away from the affected half of the joint and into the good half of the joint. In other words, if the osteoarthritis is isolated to the medial compartment, the aim is to shift the line of weight bearing into the lateral compartment. The main aim of this realignment is to reduce the symptoms from the osteoarthritis and delay the need for joint replacement surgery. Realignment may also slow down the rate of its progression of the osteoarthritis. It is important to be aware that realigning the leg will result in an altered appearance of the shape of the leg. If people have medial compartment osteoarthritis, they are usually somewhat bow-legged and the osteotomy will make the leg slightly knock-kneed. The opposite applies for lateral compartment osteoarthritis. Prior to surgery the person is usually knock-kneed, but after surgery the leg is straight or slightly bow-legged. Osteotomies can be performed above or below the knee joint. For medial compartment osteoarthritis, osteotomies are most commonly performed by operating on the upper tibia. If the osteoarthritis is in the lateral compartment, the osteotomy is usually performed in the lower femur. The osteotomy procedure itself involves cutting the bone virtually completely. There are then two ways of realigning the bone. One is to take out a wedge of bone and the other is to make a cut and open up a wedge and fill it with either bone or a bone substitute. If bone is used, it can either be allograft bone which is taken from a cadaver, or autograft bone which is taken from the patient, usually from the hip region. 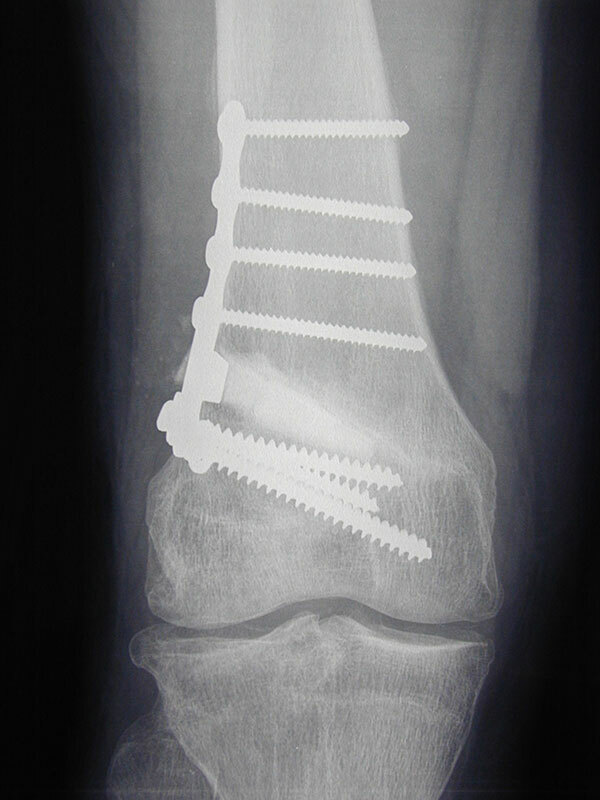 Some kind of metallic fixation device, usually a plate with screws, is then used to stabilise the osteotomy while it heals. In general,there has been a trend moving away from so-called closing wedge osteotomies, where a wedge of bone is taken out, towards opening wedge osteotomies, where a cut is made and the wedge is opened. There are potential advantages and disadvantages of each technique and a decision regarding the most appropriate method will be based on your individual situation. The surgery is usually undertaken under spinal anaesthetic. You are usually admitted on the day of surgery. Most people are in hospital for 2 or 3 nights. After surgery there is usually a drain tube in the wound, which is removed the morning following surgery. Depending on your surgeon’s preference, a brace may or may not be fitted after surgery. Initially you will commence walking with the aid of crutches. You may be able to partially weight bear immediately or remain non-weight bearing for up to 6 weeks following the procedure, depending upon your surgeon’s preference. An X-ray will be taken at about 6 weeks after surgery and depending on how things are progressing, you should be able to gradually increase your weight bearing and discard your crutches over the next 2-6 weeks. 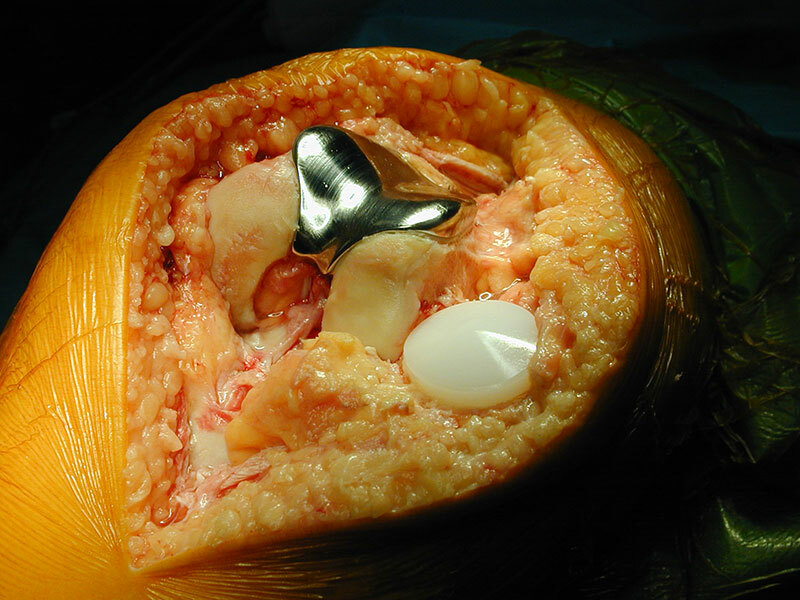 Like all surgery, osteotomies are associated with the risk of complications. The specific risks of an osteotomy include delayed healing of the osteotomy, infection, deep venous thrombosis, and incomplete pain relief. Because a cut is made through the bone, there is effectively a fracture of the bone, which needs to heal. With opening wedge osteotomies in particular, this process can be relatively slow. If the osteotomy fails to heal, further surgery is necessary to encourage the process. Infection is a risk of any surgery, not specifically related to osteotomy. Should infection occur, this will usually either be treated with oral antibiotics (tablets) or occasionally with intravenous antibiotics. Occasionally further surgery will be required to clean up the infection. This involves admission to hospital for a number of days during which intravenous antibiotics are given. This is a blood clot in the veins of the leg. Precautions are taken to reduce the risk and this usually involves the administration of a daily injection of a blood-thinning agent (low molecular weight heparin). Additional measures may be taken if it is felt that you are at greater risk than the average person undergoing surgery. If a venous thrombosis does occur this will usually need to be treated with anticoagulant tablets (Warfarin), which would need to be continued for at least three months. A small but nonetheless important risk for venous thrombosis is the potential of the blood clot to break off and lodge in the lungs (pulmonary embolus). This can cause significant breathing problems and very rarely can be fatal. Osteotomy is a useful procedure for people with unicompartmental osteoarthritis who are not suitable for joint replacement, usually because of their relatively young age. However, the outcome of surgery is probably less predictable than a joint replacement. Although most patients are happy with the result, pain relief is not always complete. In the longer term the underlying osteoarthritis will progress and one can expect knee pain to return. In addition, surgery around the front of the knee is often associated with difficulty kneeling. This is more of a problem with tibial osteotomies than with femoral osteotomies. 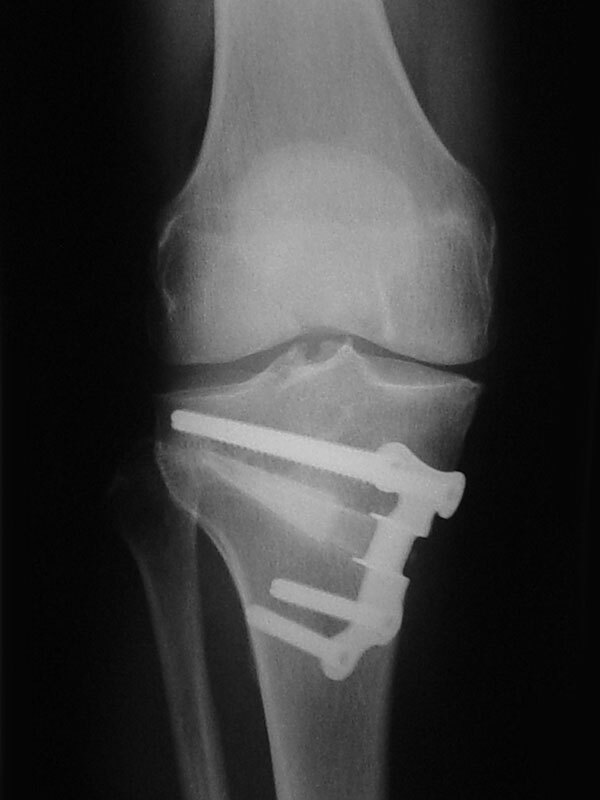 The metallic plate that is used to fix the osteotomy can be prominent, particularly in thin people. 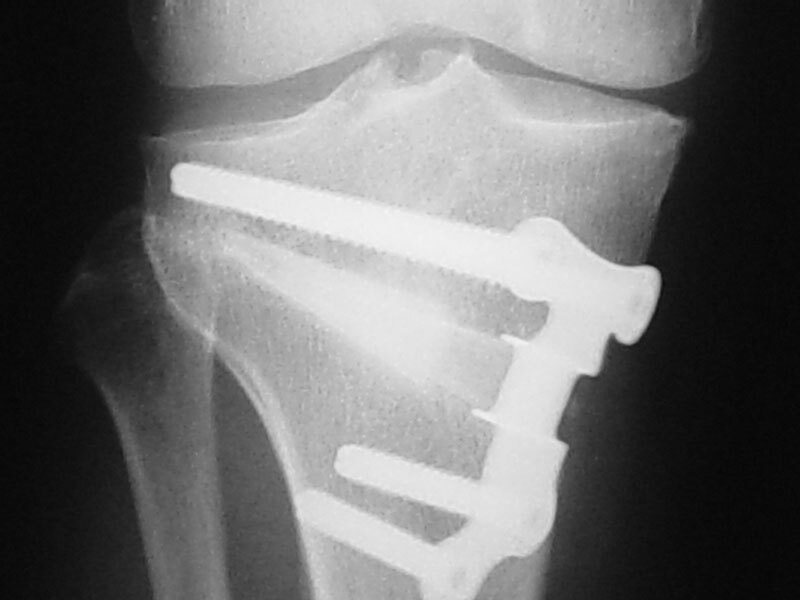 If this is the case the metallic hardware can be removed after about 12 months following surgery. This is usually done as a day or overnight case. Sometimes the metallic hardware is removed routinely after 12 months, although this is at the discretion of your surgeon. 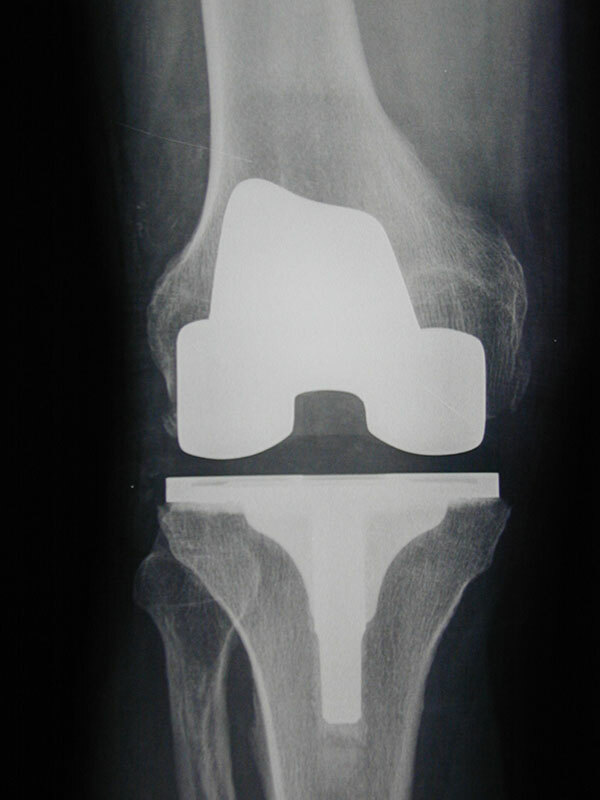 However, if a knee replacement is planned the hardware will need to be removed prior to this procedure. 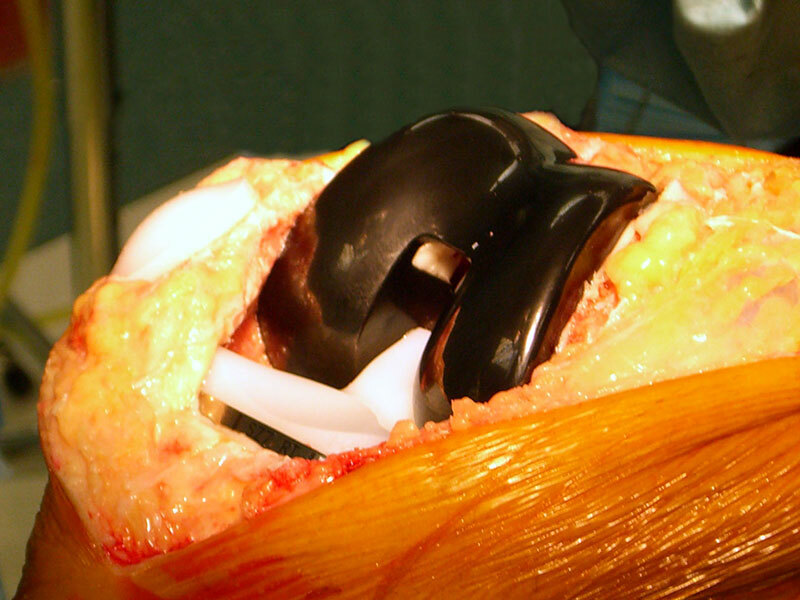 Knee replacement involves replacing the bearing surfaces on the ends of the bones with a synthetic surface. This is usually metallic on the femur and plastic (high density polyethylene) with or without a metallic base plate on the tibia. 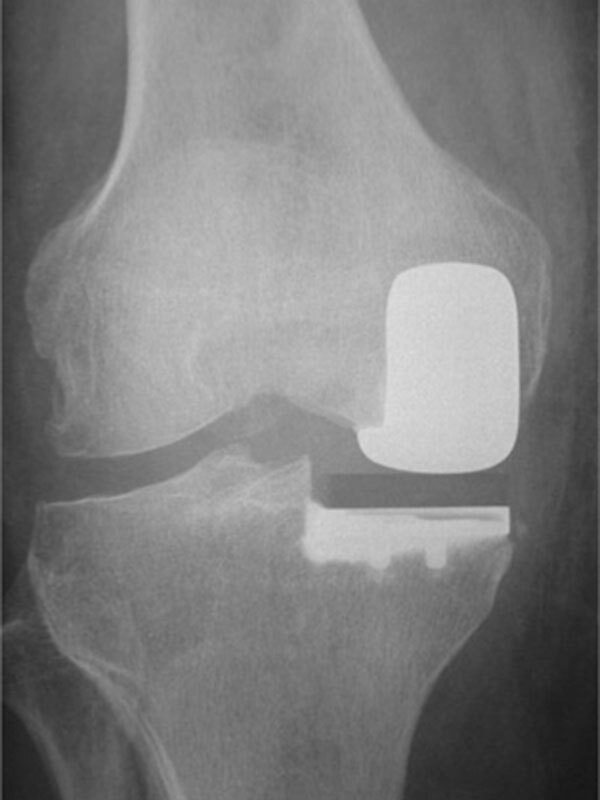 The surface of the patella (knee cap) can also be replaced with high-density polyethylene. Components can be fixed to the bone using one of two techniques. One can either use bone cement or one can use components coated in such a way that bone grows onto and into their surface. Both methods of fixation have their advantages and disadvantages. A decision will be made regarding the most appropriate fixation for your particular situation. Depending on the nature of your arthritis, your knee may be suitable for a partial replacement rather than a total replacement. The knee can be thought of as having three compartments. There is a medial and a lateral compartment between the femur (thigh bone) and tibia (shin bone). The medial compartment is on the inside (left side of right knee) and the lateral compartment is on the outside (right side of right knee). The third compartment is between the patella (knee cap) and the femur. 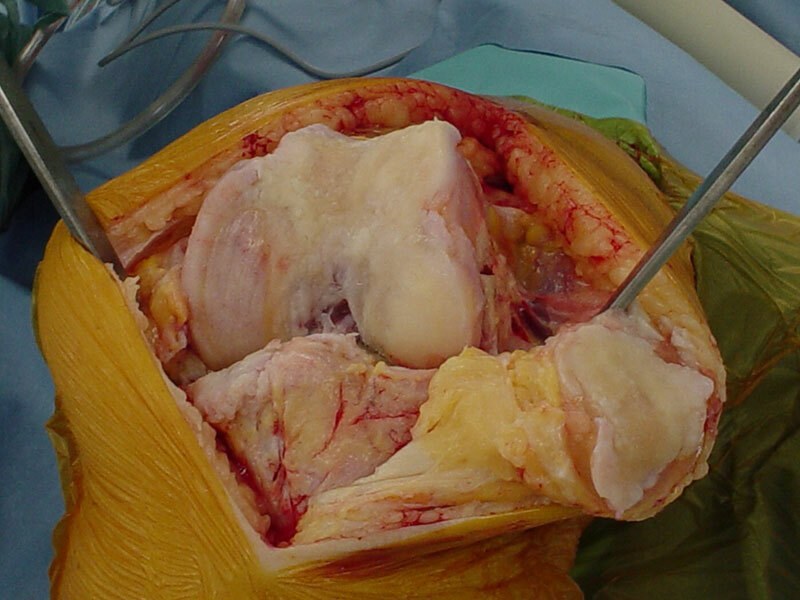 In a total knee replacement the medial and lateral compartments are replaced and the patella may be resurfaced as well. In a medial (or lateral) unicompartmental replacement only the medial (or lateral) compartment is replaced. Medial unicompartmental replacement is more common than lateral. 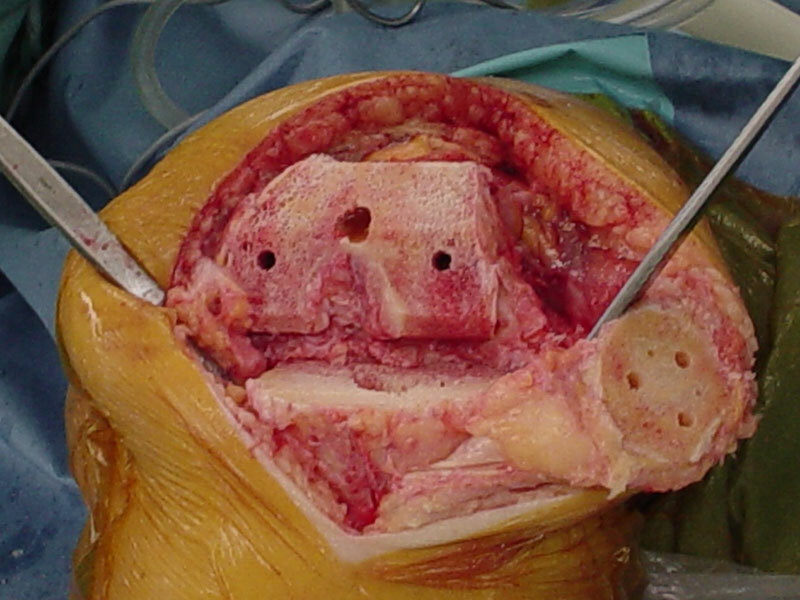 Patellofemoral replacement involves resurfacing of only the patellofemoral compartment. In general the principles of partial and total knee replacement are similar but a partial replacement is a smaller operation and has a shorter hospital stay and quicker recovery. As a rule of thumb, total knee replacement involves a hospital stay of 3-6 nights (2-5 for partial replacements). In most instances patients are able to go directly home and inpatient rehabilitation is not usually required. Depending on your private health insurer, a physiotherapist may be able to visit you at home. When you are discharged you will be walking with the aid of walker support and will be independent in terms of showering and dressing. The main problem that patients face after a knee replacement is getting their movement back. Pain levels vary considerably from one individual to another, but most people find the period from 24 hours to 72 hours after surgery the most difficult. It is important to keep working at the exercises, particularly bending the knee. This applies both in hospital and after discharge. Pain may persist for 6-8 weeks following the procedure, particularly at night. Prior to admission a number of steps are taken to reduce the risks of surgery. A number of routine investigations may be performed and these include blood tests, an electrocardiograph (ECG), and analysis of a urine specimen. You may be asked to attend a pre admission clinic at the hospital. The purpose of this clinic is to familiarise you with the planned surgery. If your knee X-ray is more than three months old a new X-ray may be taken, usually on admission to hospital. You should preferably stop taking anti-inflammatory tablets one week before your surgery in order to reduce bleeding during the operation. You can take your normal painkillers as well as low dose (100mg) Aspirin if you are on this for cardiovascular reasons. If you are on anticoagulant medication such as warfarin or clopidogrel, it is important that you notify the doctors as soon as possible as you will need to cease these prior to surgery. Similarly, if you have an artificial heart valve or another implant that requires antibiotic protection when surgery is being performed, you should also notify the office staff. Admission to hospital is usually on the day of surgery. Occasionally you will be admitted earlier than this depending on your general health status. The surgery can be performed using a number of different types of anaesthesia. The anaesthetist will select the most appropriate type of anaesthetic for your situation. Usually a combination of spinal and general anaesthesia is used. A spinal anaesthetic involves an injection into the lower spine, which makes the body numb from the waist down. It wears off after a couple of hours. Following surgery adequate provision is made for pain control. The anaesthetist and nursing staff will explain to you what is to be used in your situation prior to the operation. Physiotherapy will commence on the first day following surgery. You will usually get out of bed on the afternoon of surgery if you have surgery in the morning, or the next morning if you have surgery in the afternoon. Initially you will walk with a walking frame and later with crutches. The physiotherapist will guide you through the various phases of rehabilitation. Depending on your surgeon’s preference, you may spend some time each day with your knee on a CPM (continuous passive motion) machine, which slowly bends and straightens your knee. Usually you can be discharged directly home from hospital. The length of hospital admission varies considerably but is usually somewhere between 4-6 nights. You will not be discharged until you are safe to go home. This decision is usually made during your hospital admission. A follow up appointment will be made for you, usually 2-4 weeks after the operation. You will notice that your knee is warm and swollen for some time after surgery. This has usually settled significantly by three months from surgery, although the swelling may persist for a further few months. You will also notice that the skin on the lateral (outside) side of the incision will be numb. This is normal. The area of numbness usually decreases a little with time but there will always be some numbness of the skin in this area. However, it does not usually cause any problems. With time, the bearing surfaces do have a tendency to wear. As a result small particles of debris are produced. The body’s reaction to these particles can cause loosening of the components, which in turn can cause a recurrence of pain. This may necessitate a second (revision) operation, which is usually a significantly more complicated procedure and generally does not lead to as good a result as a primary procedure. This is a blood clot in the veins of the leg and occurs more frequently after knee replacement surgery than other types of surgery. Precautions are taken to reduce the risk and this may involve the administration of a daily injection of a blood-thinning agent (low molecular weight heparin). Additional measures may be taken if it is felt that you are at greater risk than the average person undergoing surgery. If a venous thrombosis does occur this will usually need to be treated with blood thinning injections followed by anticoagulant tablets (Warfarin), which would need to be continued for at least three months. A small but nonetheless important risk for venous thrombosis is the potential for the blood clot to break off and lodge in the lungs (pulmonary embolus). This can cause significant breathing problems and very rarely can be fatal. Infection can occur after any operation. It is potentially more serious following joint replacement surgery, as it is more difficult to eradicate. This can mean that further surgery is required including the possibility of removal of both components for a period of two months during which antibiotics are given intravenously. If the infection has been eradicated, another knee replacement is then performed. Occasionally the knee may need to be permanently stiffened (arthrodesis). Precautions are taken to reduce the risk of infection including the administration of intravenous antibiotics around the time of surgery. As mentioned earlier, the biggest challenge after a knee replacement is to regain knee movement, especially flexion (bending). Sometimes stiffness is a persistent problem and a manipulation under an anaesthetic is required. This involves coming back into hospital, usually for one or two nights. Occasionally the stiffness may be permanent and may cause difficulties with activities of daily living. Despite all of these potential problems, most patients are very happy with their procedure and recover quite quickly from surgery. However, it is important to remember that improvement occurs for up to 18 months after surgery.